A Tempest in a Teacup: Forget Hybrid Warfare! Hybrid warfare is much ado about nothing — at least for now. Hybrid warfare is defined as “a combination of conventional, irregular, and asymmetric means, including the persistent manipulation of political and ideological conflict, and can include the combination of special operations and conventional military forces; intelligence agents; political provocateurs; media representatives; economic intimidation; cyberattacks; and proxies and surrogates, para-militaries, terrorist, and criminal elements.” The center of gravity in hybrid war is the population of a country. However, the word hybrid — merely describing the mix of components in this form of conflict — does not do full justice to this nascent operational concept. For one thing, it leaves out its converging nature. As Lt. Col. Frank G. Hoffman states in an article in the Joint Forces Quarterly: “[The] character of conflict that we currently face is best characterized by convergence. This includes the convergence of the physical and psychological, the kinetic and nonkinetic, and combatants and noncombatants.” Hybrid warfare is the convergence of conventional and unconventional tactics, all merged to accomplish one objective. It is the scope of this form of warfare — including the media, organized crime, and business — that is truly unique, rather than the mix of new tactics. With the exception of strategic cyber weapons, the various components of hybrid war have been used in previous conflicts. Currently, there is a lot of hype surrounding this subject (my colleague, Prashanth Parameswaran has provided a very useful summary and background on the current hybrid warfare debate). Hybrid war is the logical consequence of our increasingly connected, ostensibly borderless world. However: hybrid warfare is not a game changer on the battlefield. It does not qualify as a revolution in military affairs (RMA), and it cannot markedly alter the military balance between two opponents if one side chooses not engage in this form of warfare. 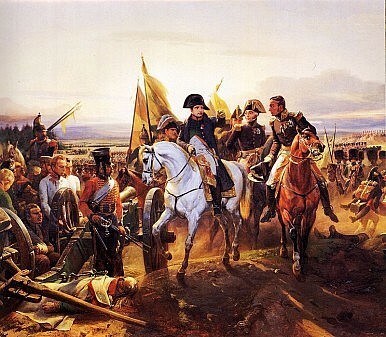 Military revolutions — aka revolutions in military affairs — irrevocably change the conduct of warfare and can be structured into three distinct phases, according to an article by Thomas G. Mahnken in the book Strategic Studies – A Reader. First, an embryonic phase, in which existing warfare methods are refined and experiments on new practices and technologies are launched. Second, an immature phase characterized by the successful use of new military practices in a major war resulting in a number of quick decisive victories for the side applying them. Third, the mature phase, in which, through the diffusion of new military practices across militaries, a new warfighting paradigm is created. In summary, these three phases can be broadly summarized as cycles of innovation, diffusion, and refinement. Today, hybrid war is still in its embryonic phase and it will require more innovation, refinement and experiments before it can become a new warfighing paradigm. What we are currently witnessing in Ukraine and what we witnessed during the 2006 Lebanon War points us toward one possible future direction of warfare (just like the V1 and V2 missiles during the Second World War pointed us toward the future importance of precision-strike regimes) but we have yet to see the decisive victories for the side applying hybrid war that mark the diffusion stage. Neither Russia’s nor Hezbollah’s battlefield exploits meet the criteria of quick decisive military victories (the Wehrmacht’s application of the operation concept of Blitzkrieg would qualify here, as would Napoleon’s military campaigns up until 1805). One reason for that is that all the forces opposed to NATO and the West (e.g., the Russian military, the Chinese PLA, etc.) have a poor track record when it comes to interoperability. As a consequence — despite the recent media hype — these forces have poorly implemented what also could be called “compound warfare”. The key to future success on the battlefield is military interoperability embedded in a larger “whole of government” approach focused on achieving victory. In that respect, NATO forces are most qualified to conduct hybrid warfare — above all the U.S. military with its focus on network centric warfare and American preponderance in civilian hard and soft power. Is 'Russia’s Deadliest Tank' Really Invisible to the Enemy? What Does the US Military See as Its Greatest Threat? The ‘World’s Deadliest Tank’: Not as Deadly as Putin Thinks? Is Russia's 'Deadliest Tank’ Using Western Technology? The End of the American Way of War?